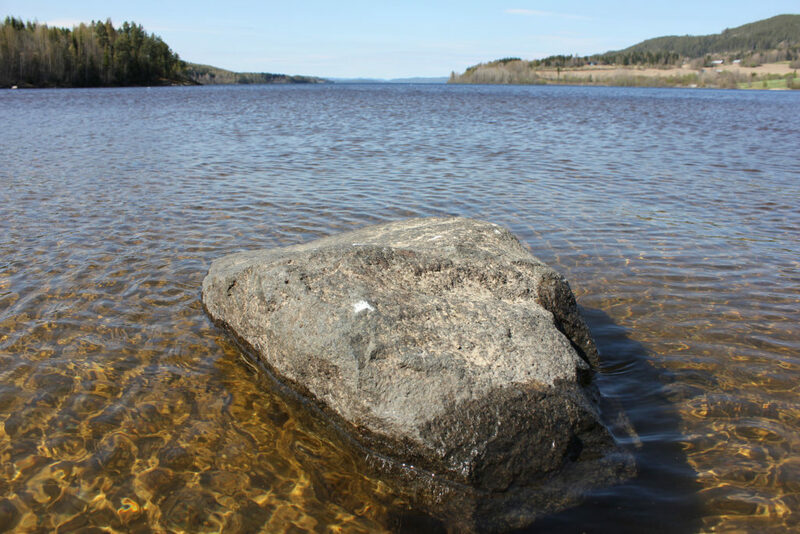 The St. Olav’s Way begins in the almost Mediterranean Selånger, near Sundsvall at the Swedish east coast. After a walk through deep forests, along mirroring lakes and deserted country roads, this first stage ends in Bräcke. More experienced walkers could consider combining a couple of the shorter walks into one longer walk. Ask us for the possibilities. From Sundsvall is only a few miles by bus to Selånger. 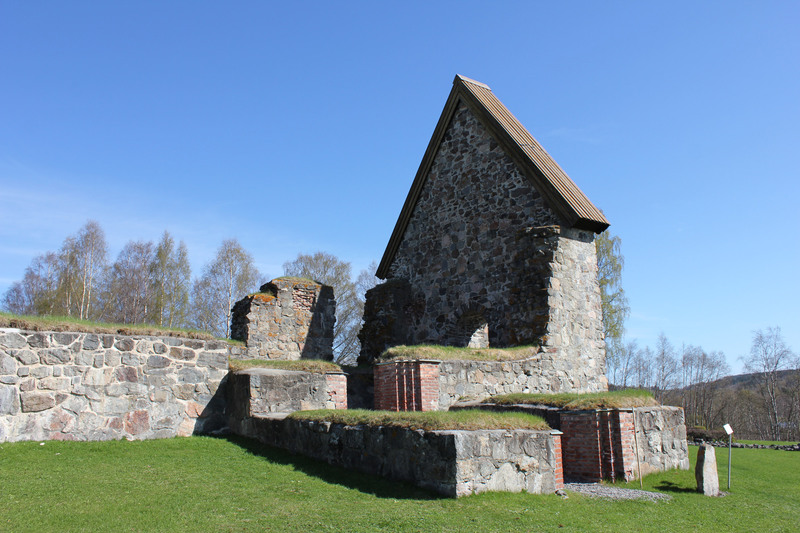 Here, the real journey begins at the church ruins of Selånger, where Olav Haraldsson stepped ashore and began his journey to Norway a thousand years ago. 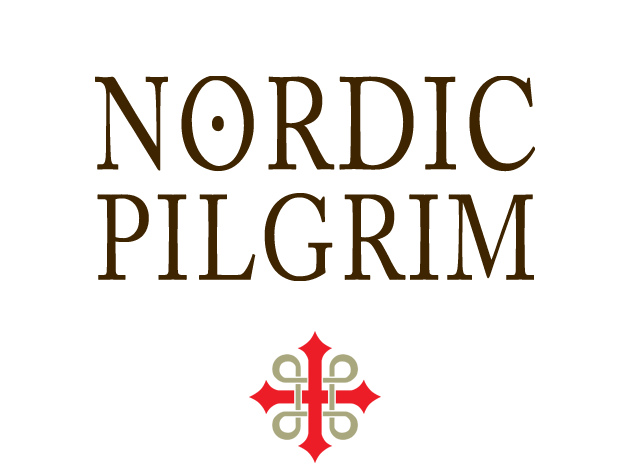 After a tour on the grounds you receive your pilgrim’s pass and you take your first steps towards Trondheim. The hike passes through agricultural area and is quite easy. A lovely walk the shores of beautiful Lake Stöde, where there are enough beaches and secluded spots to catch your breath. On day three you can take it easy: a relatively easy walk through green fields and along streams to Torpshammar, the geographical centre of Sweden. From Torpshammar is a fairly easy and pleasant stroll towards Ljungaverk. 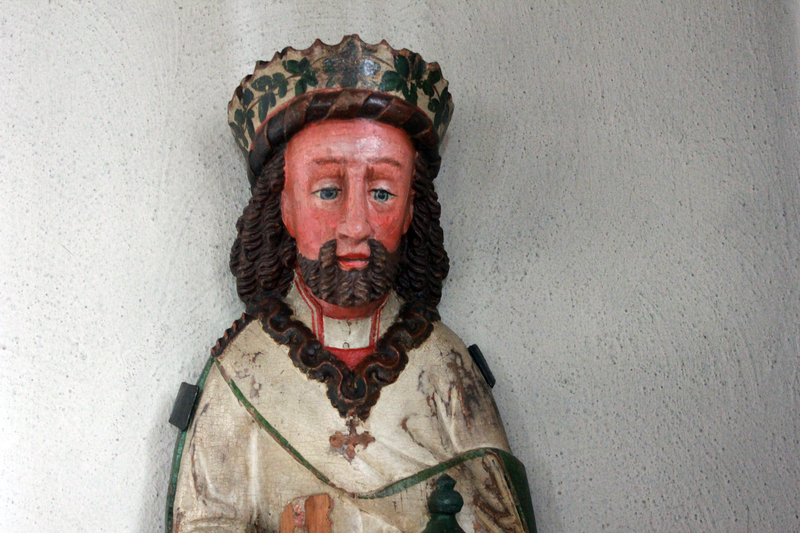 The impressive church of Fränsta, situated along the water, has a statue of St. Olav from the thirteenth century. Through quiet country lanes you pilgrimage continues to Borgsjö, a well-known place in the St. Olav legends: it is here that Olav created a spring by hitting the ground with his staff. His thirsty men and horses were probably very thankful. On day six, the walk continues along forest paths and meadows, slowly going uphill. The hike is relatively heavy, but very rewarding. You stay in a simple ‘stuga’ in the middle of the forest – without electricity or streaming water. The journey continues, over narrow forest roads and through small villages, in the direction of Bräcke, the largest and most important town in the region. Bräcke grew enormously in the late 19th century, with the arrival of the railway. The centre of the village has a kind of Wild West atmosphere, with wooden houses and porches. A relatively easy first stage of St. Olavsleden, along the forest trails, (un)paved roads, asphalt and meadows. A trip for both trained and untrained hikers. We do recommend to use good equipment and hiking gear.